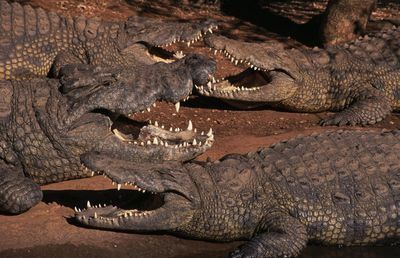 Crocodiles have been around for some 200 million years and have changed very little since the time of the dinosaurs. Although classified as a reptile, crocodiles are more closely related to birds and dinosaurs than they are to most reptile species. 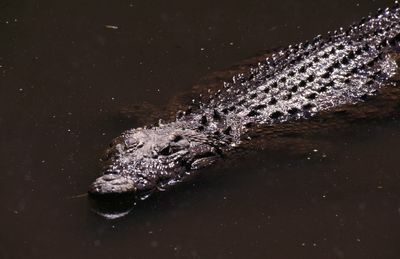 This month, find out more about these time-preserved amphibians on Animal Planet's programming special CROCS UNCOVERED. Featuring a line-up of exciting programmes such as LIONS OF CROCODILE RIVER, LAST FEAST OF THE CROCODILES, O'SHEA'S BIG ADVENTURE 4: CROCODILE CANYON and INTO THE DRAGON'S LAIR, get ready for a jaw-dropping crocodile special. 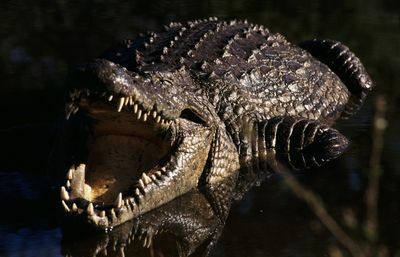 A vicious predator, the crocodile is the largest reptile in the world and by far, the most dangerous. Preferring to prey from the water's edge, crocodiles are powerful swimmers and expertly adapted to life in the water where they do almost all of their hunting. Their eyes and nostrils are located on top of their head, which allows them to see and hear prey while partially submerged and virtually unnoticed. 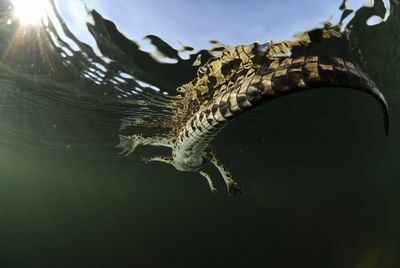 When a victim is spotted, the crocodile drops below the surface, inches forward to within striking range, then launches out of the water with a violent, bone-crushing attack. But this fearsome predator is also a surprisingly tender and protective parent. Get acquainted with the ancient amphibian on CROCS UNCOVERED. LIONS OF CROCODILE RIVER takes you into the heart of the Luangwa Valley - a place where territories are redefined with the rise and fall of the Luangwa River. Each year, drought ravages this Eden; teeming with crocodiles, the remaining pools attract thirsty and fatigued prey desperate to escape the scorching heat. Mfumu and his pride must join the ranks of those who drink from these pools. For both predator and prey, the Luangwa Valley is a treacherous place. Can Mfumu stand his ground against a hostile takeover from the rival male across the river? Will his mate, Chipazuwa win the battle of motherhood against her mortal enemy, the crocodile? During one harsh season, a punishing drought draws some of Africa's most magnificent creatures to the shrinking pools of the Luvuvhu River. 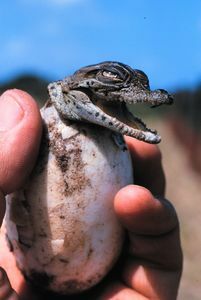 Its dwindling waters provide relief for baboons, impala, elephants, lions, water birds and bee-eaters - but also a refuge for scores of hungry crocodiles. Amidst the stunning scenes of nature at its harshest, strange things happen. A baby crocodile basks on top of a hippopotamus; baboons attack a crocodile that has taken a youngster from the troop; crocodiles harass a heron and steal its hard-won catch; and hippos calmly wade into the middle of a crocodile feeding frenzy. This cruel season may turn out to be the LAST FEAST OF THE CROCODILES. It is a journey of extreme danger and endurance to the country of Mauritania. 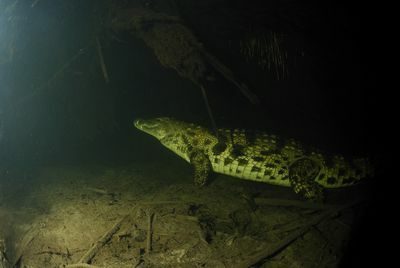 Mark O'Shea is in search of a mysterious and surprising contradiction - a population of water-dwelling crocodiles that are living in the middle of the desert. Undeterred by the less than hospitable conditions, Mark journeys through the scorching temperatures of West Africa to the mountainous sand dunes of the Sahara in search of the desert crocodile. Go on a perilous journey with underwater cameraman Didier Noirot and environmental photographer Roger Horrocks as they embark on an expedition INTO THE DRAGON'S LAIR. 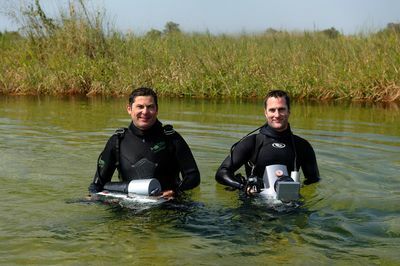 The plucky duo have decided to explore the 100-metre deep papyrus caves of Botswana's Okavango delta to get up-close and personal with one of nature's most fearsome predators: the Nile Crocodile. Join Didier and Roger as they set out to understand and document the underwater behaviour of these dangerous reptiles, while exploring the fears and fascination that humans have with them.